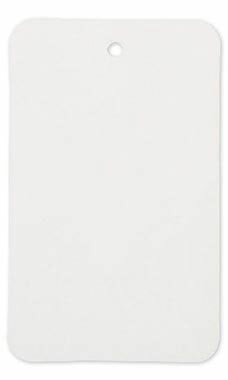 When you want the freedom to express yourself look no further than our non-perforated unstrung blank price tag. This tag measures 1-3/4"W x 2-7/8"H and is offered in classic white. It has plenty of room to write in any information that you would like or to attach a sticker or barcode.